mais à chaque fin de guerre, les hommes disent "plus jamais"
I read that 2% of the world's population died in WWI. Shocking! So glad you posted these photos. 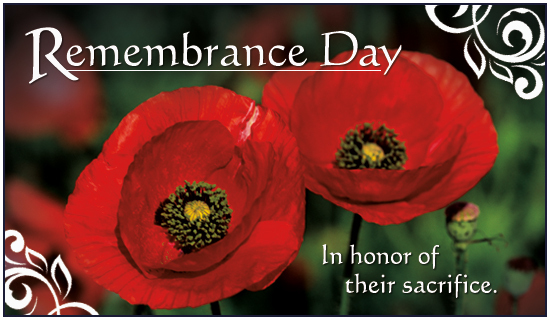 Both my grandfather and my husband's grandfather fought in WWI. 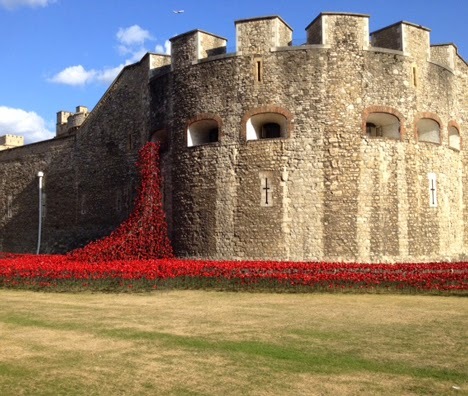 I heard about the poppy display but these are the first I have seen. Thank you so much! What a perfect way to honor all of those lives lost, dans un champ de coquelicots. 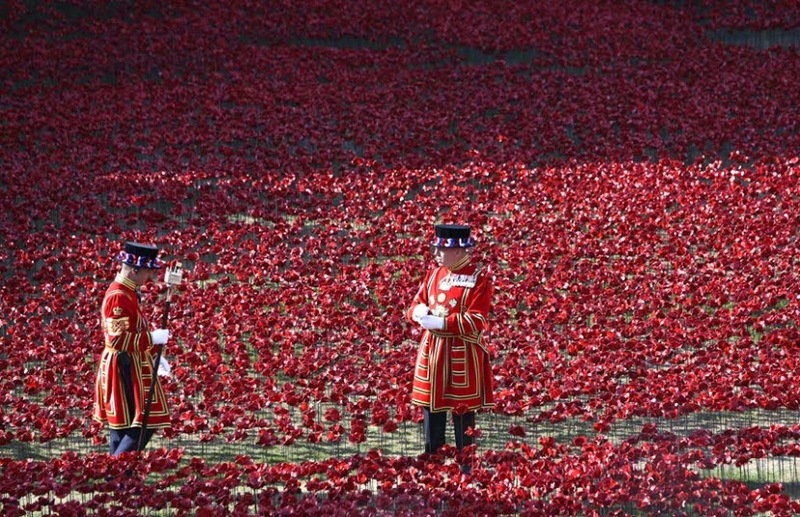 This "sea of red" is stunningly beautiful and yet heartbreaking. Great way to remember those lost in the Second World War. Great post! But the world hasn't learned anything yet, and there is still so much sadness and pain. 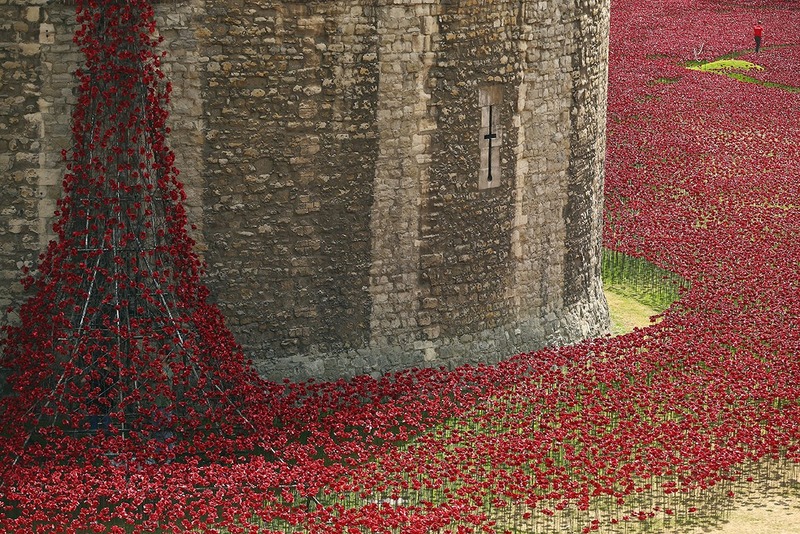 The poppies are spectacular. Het zijn Belgische trekpaarden of werkpaarden Louisette geen friezen. 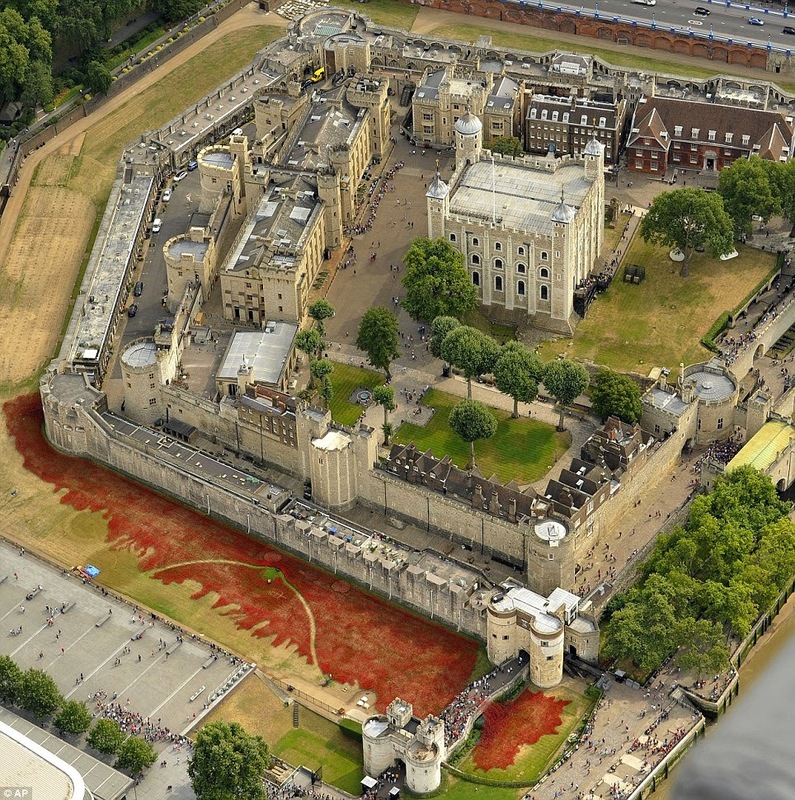 I remember staying in London during "Poppy Week", just breattaking. Wow, very beautiful! 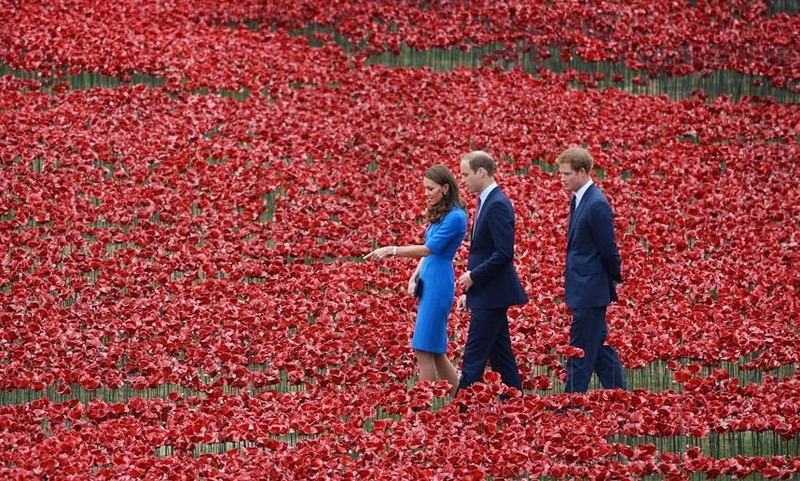 I've been in London for "remembrance day" but don't recall images like this at the London tower. Thanks for stopping by my blog today. Article absolument intéressant et fort bien illustré. Thank you for your sweet comment on my Black and White post! Hola Louisettes, Mi enhorabuena por tan interesante y bien documentada fotográficamente entrada. Gorgeous...what a beautiful way to remember! A very impressive and thoughtful post. Fascinating history and the film was touching! 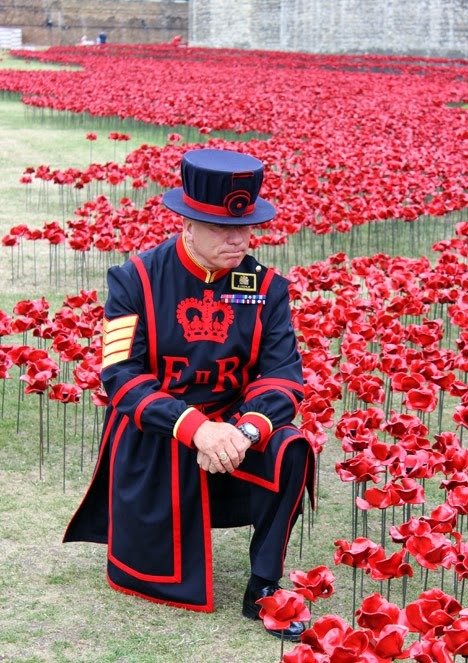 I felt sad that so many lives were perished in the wars. Thank you for the beautiful post.